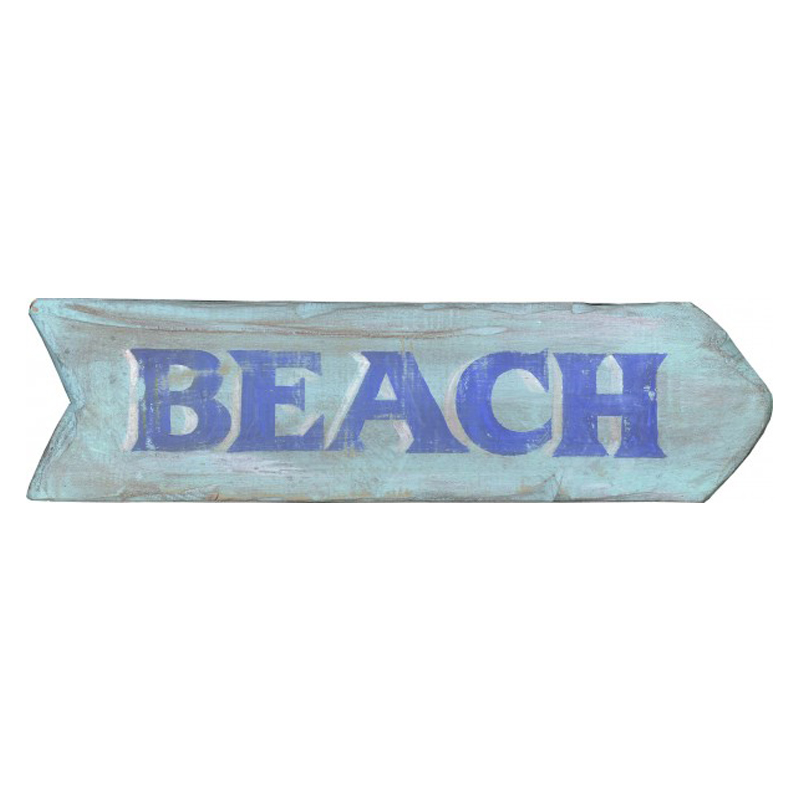 The Beach This Way Wall Art enhances your oceanside patio with the word "Beach" in blue on a light blue, arrow shaped sign. This beach wall art ships from the manufacturer. Allow two weeks. Cannot express ship.